Here’s how it was after the reveal in 2017. Not bad, but also not great. But it’s done the job for the past two years. And here’s how it looked last night with no clean up, organizing, or styling. It's become the storage/"I don't want to deal with finding this a place" place. Embarassing? Maybe. Realistic? Totally. 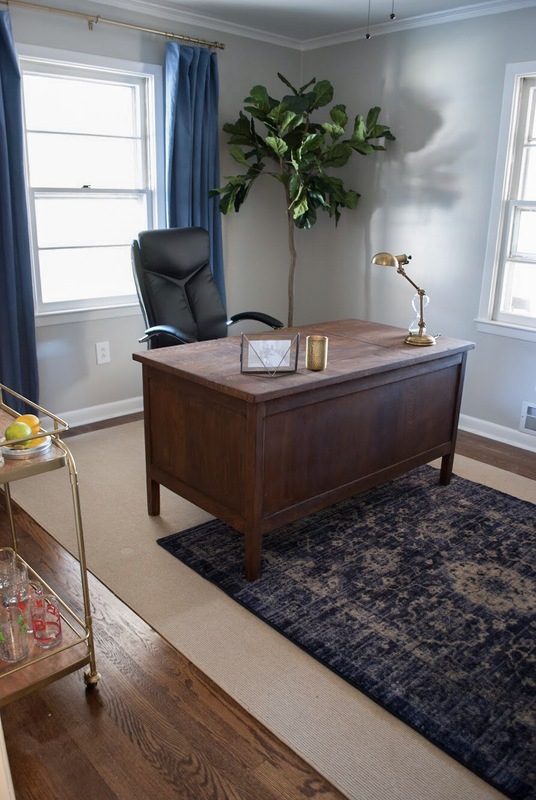 The plan is to put the bed and desk from the guest room, plus leave the desk that’s already in here. I’ve measured and it seems to all fit, I guess we’ll see once I actually get things in there. I know Guest Participants can “win” as of a few rounds ago (and don’t really like that addition because it makes it feel like a competition) but this room is going to put function before form. Not that form is going to be excluded completely, it’s just going to look a little cramped in photos so I’m definitely not setting my sights on “winning” this round. 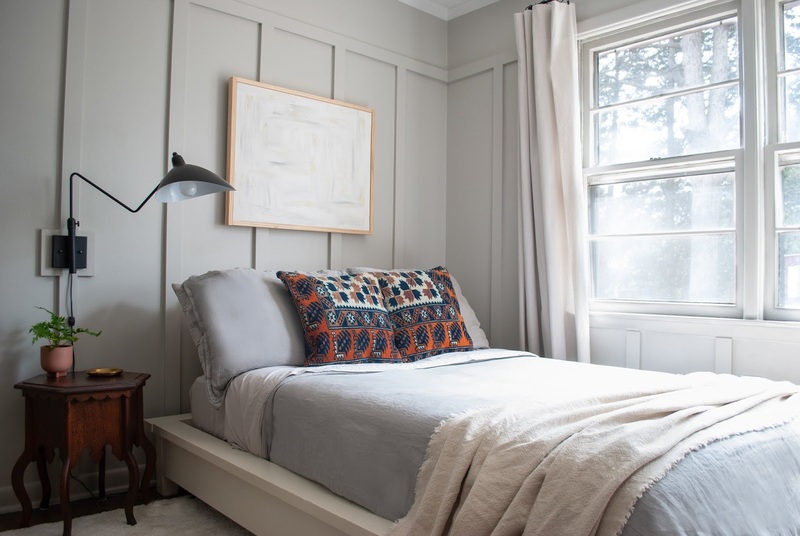 I’m undecided if I’m going to do a wall treatment or not, but I’m leaning towards no. Not because it wouldn’t be beautiful, but because our house is really small and there is already one room that has a treatment. 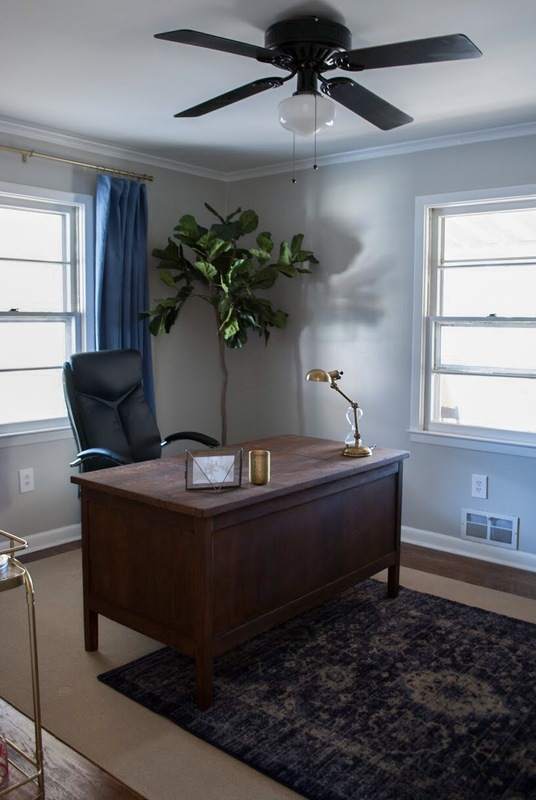 If I did this room I feel like I would have to do the master since it would be the one one without something on the walls. I need to transform the now wet bar back into a closet. Since this will be main closet, finding a configuration that fits my stuff will be the challenge. Also, painting over this blackest black will be fun. Luckily, Killz and I are good buds. Next week I’ll have the mood board and general idea of the layout. 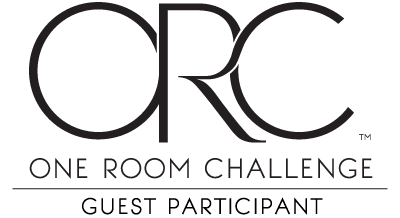 I feel like I say this every week, but be sure to catch all the other participants over on the One Room Challenge website. 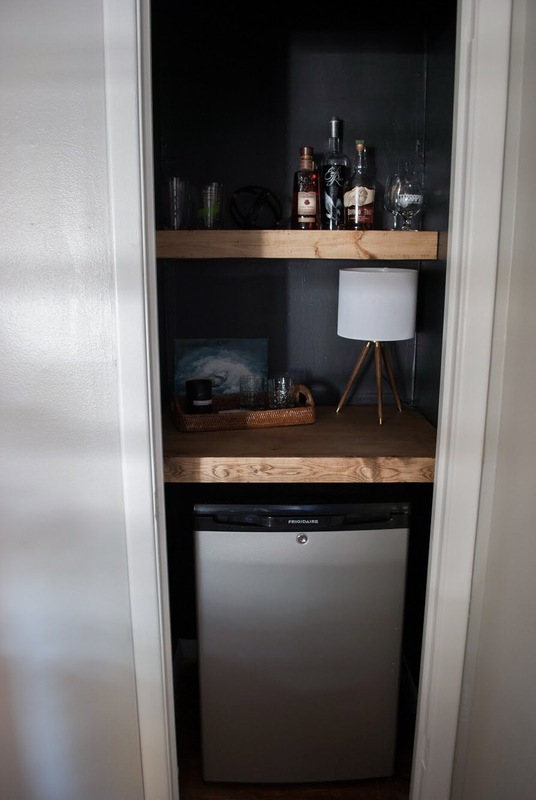 I love the mini bar in the closet, maybe you could just take out the upper shelves and put a hanging rack in there if they need to hang some things up! I am working on an office for the challenge as well and it became my drop all room for a long time so I have quite the task of moving everything out before I can even begin changing up the room! Great idea! Ooo good luck, office's are so satisfying!